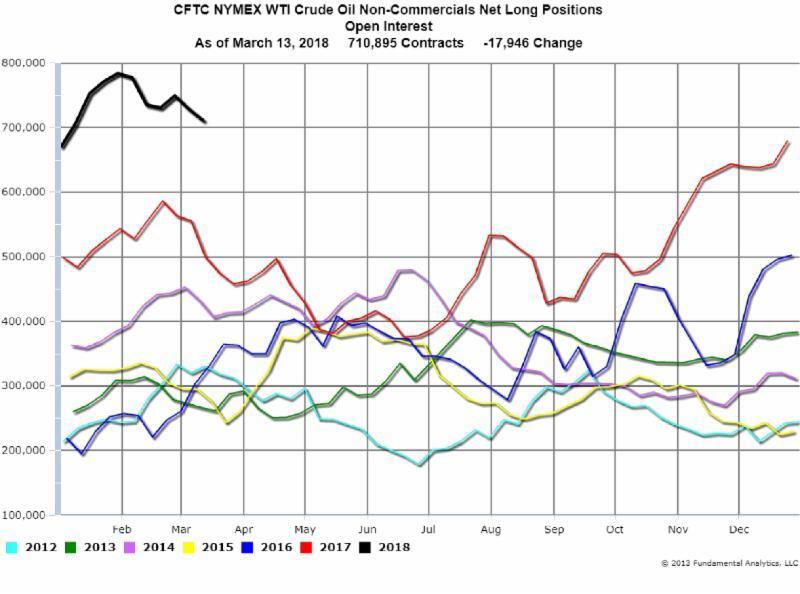 The latest CFTC Commitment of Traders Report as of Tuesday, March 13, 2018 shows the Non-Commercials Net Long Positions decreased during the last week by 17,946 contracts to 710,895 contracts. 10,275 long positions were closed and 7,671 Short positions were established. Crude Oil prices have declined, but stabilized range bound, so the next couple of Funds reports should be revealing regarding their view of the market.